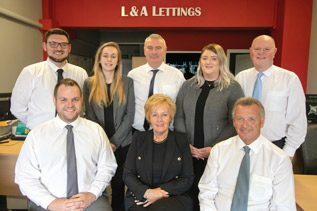 With the experience of letting since 2002, L&A Lettings are a family letting agent based in Wednesfield covering the Wednesfield, Willenhall, Wolverhampton, Black Country and South Staffordshire areas. We offer a full range of services which include residential property rental, free valuations, and for those interested, we also have property investment opportunities. A two bedroom semi detached home situated in St Annes Road, Wolverhampton. A beautiful three bedroom linked detached house located in Compton, Wolverhampton. Near to local amenities and transport links into the city centre. Beautiful two bedroom bungalow in a highly sought after area in Wednesfield. Ideally located near to local shops and amenities with excellent transport links into Walsall and Wolverhampton.